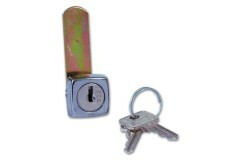 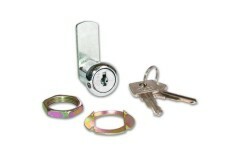 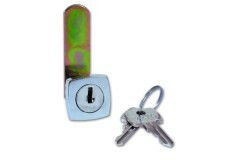 Cam locks are used on so many different types of furniture and lockable boxes. 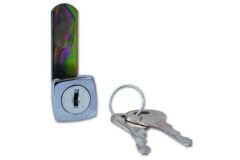 They are the most common and universally used type of lock for cabinet doors, cash boxes, drawer units, you name it. 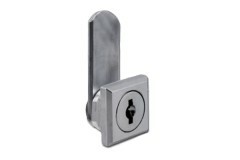 We've all seem camlocks fitted - they are absolutely everywhere, so much so that you'll maybe not even acknowledge they are a camlock. 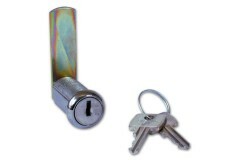 With camlocks, all you see from the outside is the round cylinder face with a keyway, and a bevelled rosette around the circumference of the cylinder (either square or round). 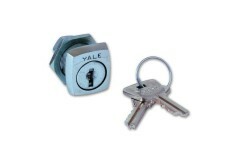 So if you think of a cash-box, the key-override on your home safe, your private mailbox, the lockers at your local gym, these are all most likely fitted with camlocks, or some derivative of a camlock. 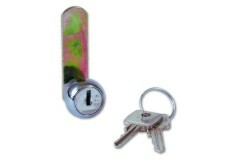 Whilst they all look much the same from the outside, what each one has on the back to actually lock the door into place varies quite a bit depending on the application. 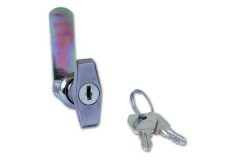 Typically, you'd have a straight cam bar on the back of the lock, but you can also get camlocks with cranked cams, which are designed with a 'step' in them to allow them to reach the position of the keep accurately, ideal for inset or overlay type doors depending on the frame of the unit. 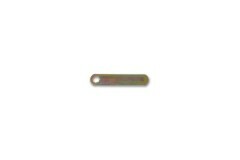 The length of the body also varies. 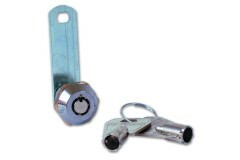 This is the threaded part which fits through the door, and is usually secured with a nut fastening on the back, tightening up against the door effectively clamping the camlock to the door. 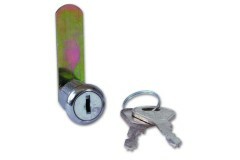 Do you need to replace a lock in a filing cabinet or in your office drawer? 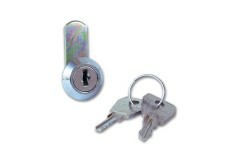 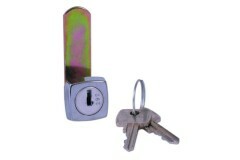 Do you have a wardrobe o..
Do you require replacement locks for a filing cabinet? 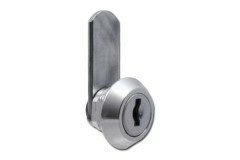 Or perhaps you want to add or replace the loc..
Our High Security camlocks are available master keyed, keyed-alike and keyed to differ. 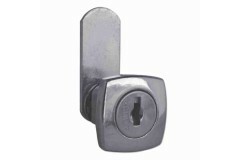 Caml.. 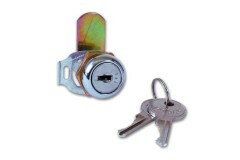 The Asec 180 degree cam lock is part of the asec budget camlock range. 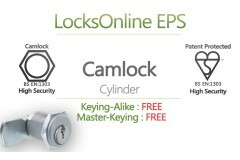 The Cam lock is locked and un.. 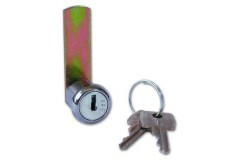 The Autopa Parking Post Camlock, can be locked or unlocked by key. 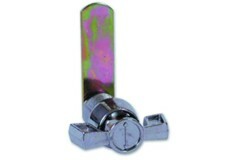 Replacement camlocks for the 'Aut..